In real estate the saying goes: "location, location, location". You see, it's all about location and about being in the centre of things you enjoy and value when it comes to buying a home - but sometimes the same is true about your office space. In my role at the Regional Recreation Corporation I have the good fortune to have an office that is in the centre of the bustling activity of the Suncor Community Leisure Centre at MacDonald Island Park, with one door exiting poolside into the viewing area at the Syncrude Aquatic Centre. At any time of day I can walk out that door and hear laughter and enjoy the near-tropical temperatures inside the aquatic centre. On the other side of my office, though, and through the main door is a place that I find pretty magical: the MacDonald Island Community Art Gallery presented by Kirschner Family Corporation. One of the best things about the location of my office is that I can wander into that hallway-turned-into-an-art-gallery and enjoy whatever the current exhibition happens to be. I can watch as our Arts and Culture staff hang new pieces as the gallery welcomes a new exhibition, and I can spend time simply enjoying the works when I take a break from the tasks cluttering my desk. And one of the great joys of my role is that I am on occasion asked to MC at opening receptions for the art gallery, which means I get to meet the artists and join the celebration as the gallery opens the exhibition to the public. I do not consider myself a natural MC, but it is a role I am learning to grow into, and the opportunity to connect with others in the community is something I have found myself treasuring every single time. 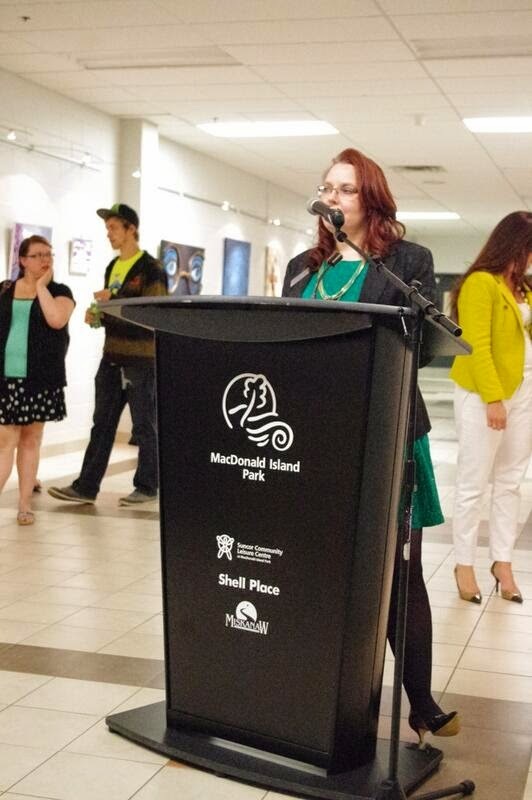 This past week I had the honour of MCing one such reception, and an even greater honour in being a small part of the Quad High School Art Show, an exhibition of the works of Grade Nine to Twelve students from both the Fort McMurray Public School District and the Fort McMurray Catholic School District. When I say it was an honour I mean it, because there are few things I am more passionate about than our local youth. 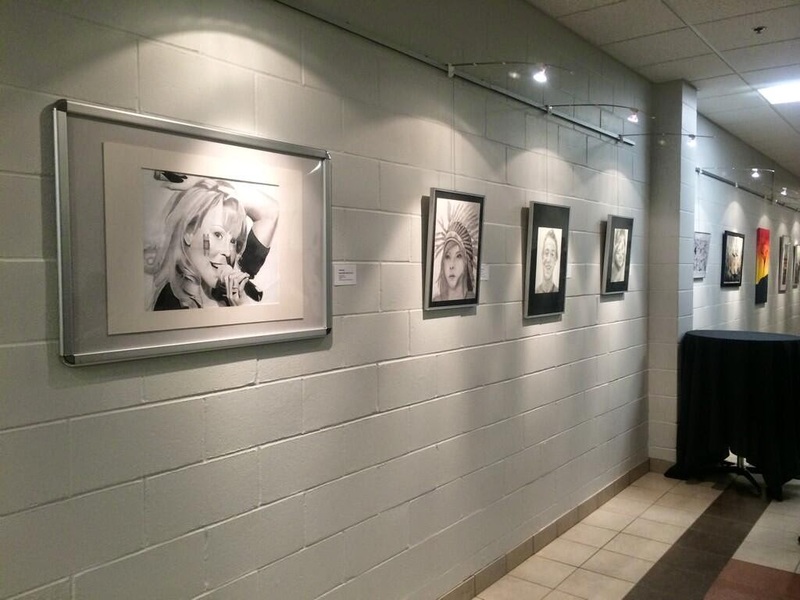 The Quad High School Art Show comprises works from students at Westwood High School, Composite High School, Holy Trinity High School and Father Mercredi High School. It is a wide-ranging exploration of mediums and themes, and I would say almost unequivocally that it is one of the best art shows that I have ever seen in our gallery. 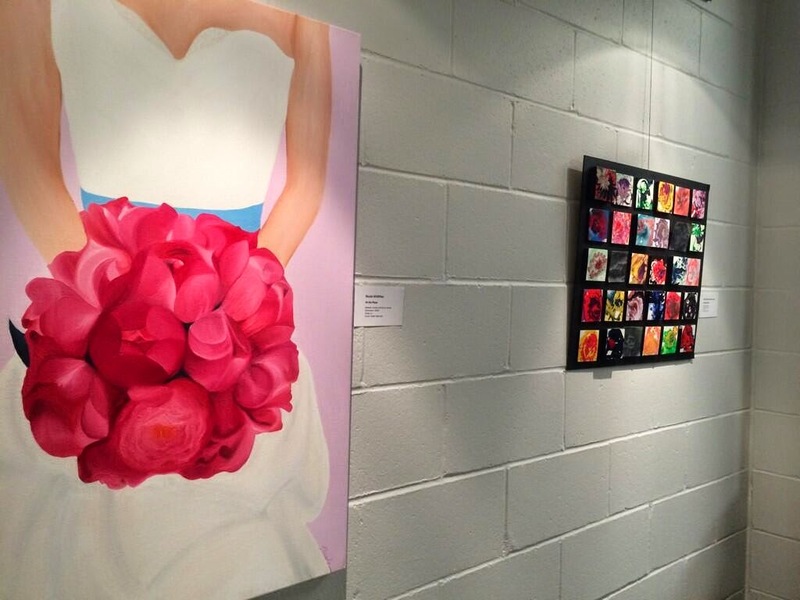 From art pieces made with Froot Loops to intricate hand sketches, multi-media three-dimensional works to more traditional painting, the entire exhibition is a stunning display of the talent that is present in the youth of our community. The pieces exhibit a flare for creativity and a desire to simply explore the world through art, and each and every piece is stunning in its own way. I wander by each piece and marvel at the talent and thought put into them, as while I am not an artist I am by nature creative and I know the time and effort that has gone into these pieces. I am simply blown away by the burgeoning talent we have in this community, and I am so truly grateful to see that talent being fostered in our school districts. The students in this community are so fortunate to have mentors in their schools who can provide them with the support and guidance they need as they develop their skills and talents, whether it is in art or athletics or academics. Every single school initiative I attend, whether an art exhibition, a theatrical production or a year-end awards ceremony, amazes me as I witness young people in our community being fostered and mentored on their path to adulthood. 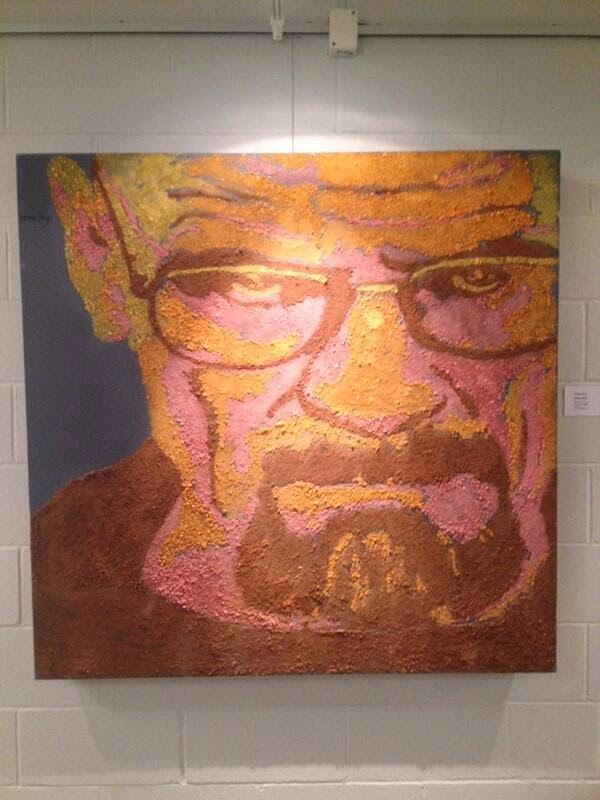 The Quad High School Art Show is more than a student art show, you see. It is a display that indicates what kind of young adults we have in this community, and the ones who will become our future leaders. I feel such optimism and hope when I see their work, but for me the greatest pleasure was seeing them on opening reception night and meeting some of them as they too celebrated the presence of their work in the gallery. A good number of the students are in Grade Twelve and thus moving on after this year, and while we may see many of them move on to other communities to pursue their dreams and goal I am so intensely proud to be able to say they are from Fort McMurray. I know that whatever they do and wherever they go they will do us proud, and represent us well. 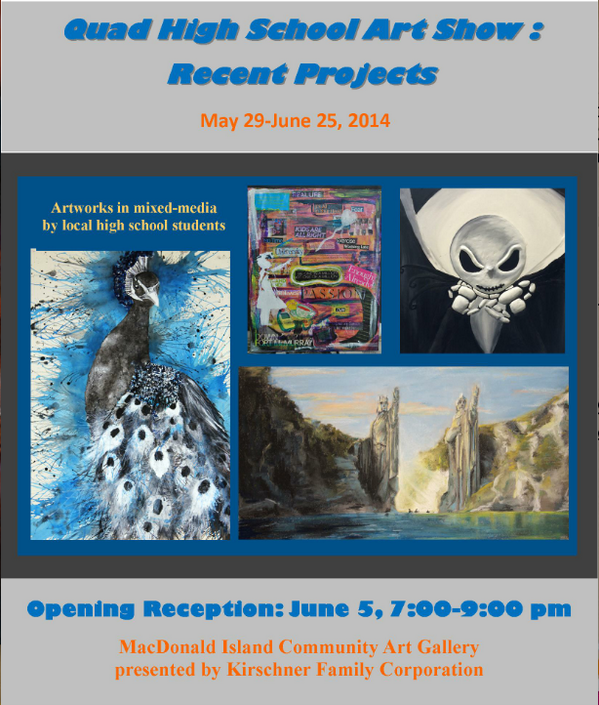 The Quad High School Art Show exhibition is in the gallery at MacDonald Island Park until June 25. 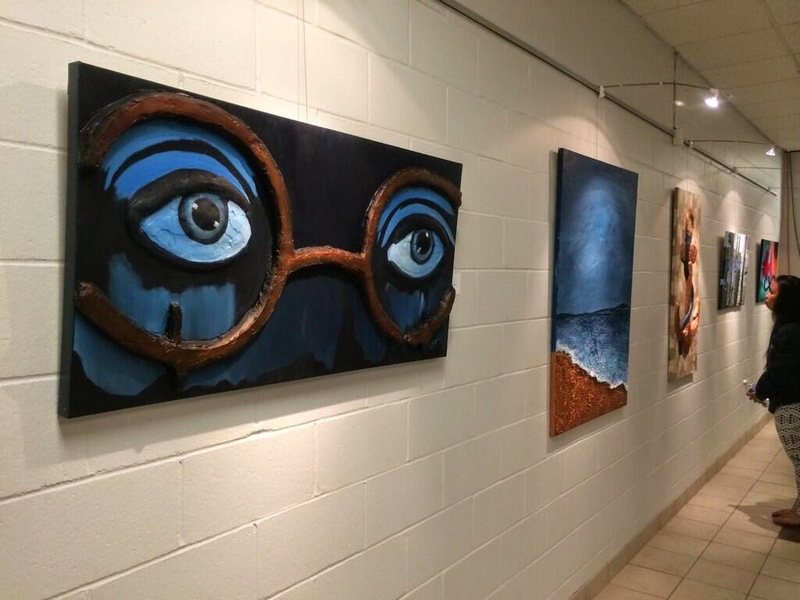 I would most certainly designate this as a "do not miss" art show from our local students, and judging by how often I am asked if these pieces are for sale I suspect others feel the same. We have some astonishing youth in our community, and I believe it is tremendously important to not only support them but celebrate them. This is your opportunity to do exactly that - and enjoy some incredible art all at the same time. what an incredibly talented and charming young man!